height x Spread: 200cm x 200cm. Growing conditions: Full Sun / Semi Shade and Shade, will grow in most well drained soils. Mahonia ‘Aquifolium’ are typically grown for there attractive dark green foliage which resemble that of a holly as they have sharp palmate type leaves. 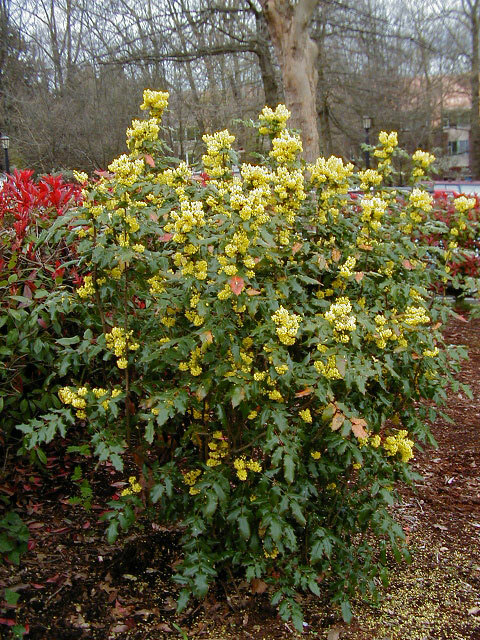 Mahonia’s are a evergreen shrub and from around late spring they produce long stalked bright yellow flowers followed by purple/black berries. 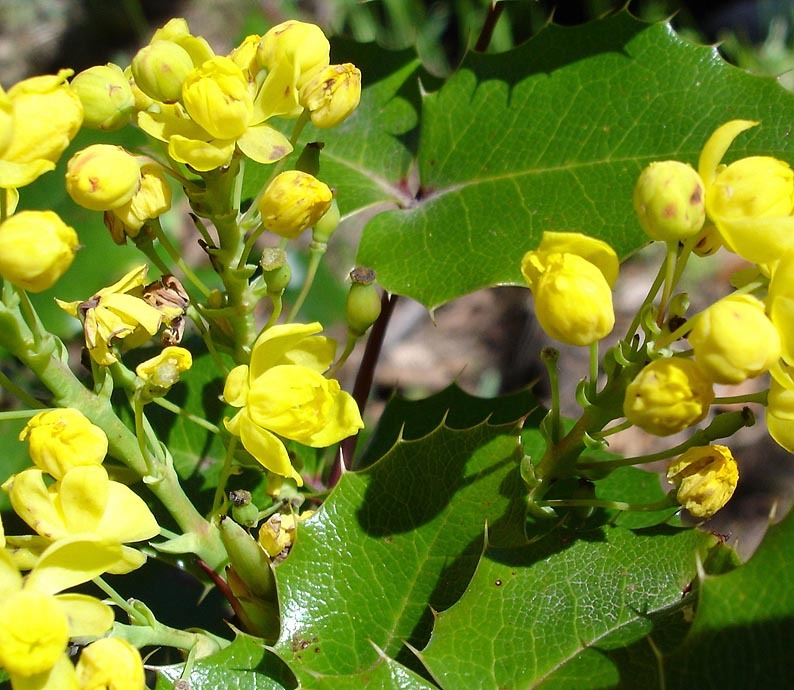 Mahonia Aquifolium is one of the smaller varieties and only grows to around 100-200cm tall (3-6ft), they are a very hardy shrub and will grow well in most soil types including heavy clay, sand, moist or dry soils. The grow well in full sun and semi shade but will also survive in shade without any trouble. Mahonia are very hardy but will benefit from a mulching around the base of plants to protect the roots from frost in serve winters. This is also recommended specially if you have recently pruned your Mahonia back. The berries from Mahonia Aquafolium are edible and are sometimes used to make jelly and the berries can also be fermented to make wine and brandy. Mahonia are generally pest free but can suffer from Rust and Powdery Mildew but these fungus are easy to spot and can be easily treated with a garden fungicide at firsts signs of infection. 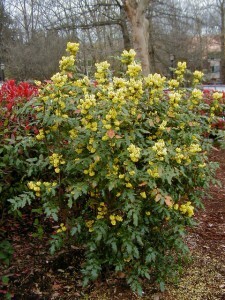 If you have purchased a new Mahonia and want to plant it we recommend using bone meal and mixing it through the soil in the hole before planting, this will encourage new root growth and give the Mahonia a good start.